Anyone Notice I Was Gone? Did anyone notice I was missing in action?? It’s been awhile since I have posted and I have missed it so I have decided I am going to try and post on a regular basis again. Hope I still have a few avid followers out there. Or at least followers who will stop by once in a while to visit. So what have I been up to in the last several months you ask? Well, a lot of the same things I was up to prior if you were a regular follower of my blog. I continue to be very active in my church and participating in the volunteers council at work. Trying to do my best to share the love of God with others. I also have remained active in coaching. Currently I am coaching two teams in basketball. A 5&6 and a 7&8 year old team. These would be teams 11 and 12 I have coached since I first started coaching last summer. Each team is always different and always allows me to learn something new. Not only about the players on the team but also about coaching in general. I absolutely love every minute of being out there with the kids. Indoor soccer starts in a few weeks and I have decided soccer is absolutely my favorite sport to coach. I would of never guessed that before coaching because I always thought soccer was for the kids who couldn’t play any other sport. But I am always the most excited about the soccer seasons and have had the most fun with the soccer teams I have coached. I’ve had a couple people who had read my previous post The IVF Adventure ask me the outcome of the adventure. Unfortunately it was not a successful adventure. We had two attempts which did not take. At this point I think we have decided we are just going to see what happens instead of going through another round. If it truly is in God’s plan then it will happen whether we do anything or not and if it’s not then it’s not going to be successful anyway. I am content if it only ends up being one child and I have come in contact with many children to share my love of children with through church, coaching, and other adventures. And I get to send home after an hour! 🙂 Doesn’t mean I may not ask why more was not in the plan some day when I get the chance though. I also posted about how I would want to run in a 5K at some point in my post titled Finding the Motivation to Work Out. Well, my wife decided she was going to make that happen. Without telling me she registered me to run in a 5K back in June. I ran in the 5K and finished it. I didn’t win but I also didn’t come in last place. My daughter was extremely excited about seeing me run in the 5K and I was happy to be able to do something she was so very excited about. I have not kept with the working out habit and have not registered in any more 5Ks but could possibly see myself running in others in the future, especially since she has expressed an interest in running a race with me. The other big happening in life is the decision to home school my daughter. I wrote about the decision whether To Home School or Not. Several of you had shared your thoughts and comments on the subject. As it got closer to the time to make the decision it became obvious to me that home school would be best for her. Mostly because she seemed like she would be beyond what they would be teaching in kindergarten and therefore be restless which would lead to issues with behavior. So we made the decision to home school. My wife stopped working and has been a stay at home mom for the last 6 months. She and my daughter are loving every minute of it. And since we were working opposite shifts, my wife and I actually get to see each other more often now. It’s so wonderful to get off work and come home to have dinner at home with them every night! I think we are all very happy with the decision we have made. So those are the big updates in my life over the last few months. 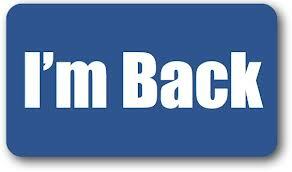 I plan to be back on a regular basis so I hope you will stop by and say hello once in a while! This entry was posted in Basketball, Children, Church, Coaching Youth Sports, Faith, Family, Father-Daughter, God, God's Overall Plan, Home School, Impacting The World, IVF, Marriage, Pregnancy, Soccer, Sports, Struggles, Working Out, Youth Sports and tagged Basketball, Children, Coaching Youth Sports, faith, Family, Father-Daughter, God, God's Overall Plan, Home School, Impacting the World, IVF, Marriage, Pregnancy, Soccer, Sports, Struggles, Working Out, Youth Sports. Bookmark the permalink. Comments? Questions? Suggestions? Just want to say hello? Feel free to email me at joec0321 (at) gmail (dot) com.